Columbia Business Systems has been serving clients in the Greater Vancouver area with their office equipment requirements for over 55 years! Our client base consists of a wide cross-section of both large and small organizations with one common denominator - the expectation of great service. A 100% locally owned and operated organization, Columbia Business Systems is the Authorized Supplier for the award-winning products lines from Canon, Konica Minolta and Kyocera. We provide professional, consultative pre-sales guidance and thorough after-sales service support to ensure your organization's complete satisfaction. Please contact Lisa Hickman today to schedule a no-obligation print study. During this appointment I will better understand your document needs, assess your current set-up and find ways to improve your operational efficiency and reduce your costs. I love doing business with Chamber members and am happy to provide testimonials for my work. Raising funds to support local athletes and coaches; saving lives; and, opportunities for plenty of volunteerism: This is Operation Red Nose Ridge-Meadows. The program is a donation-based designated driving service available to anyone who feels unfit to drive for any reason during our 9 nights of operation including New Year's Eve. Volunteers and corporate sponsorship's are crucial to the program's ongoing success. We invite you to get involved in the fun this year as a volunteer! - or in the pride of being a program partner. Please contact us directly for a volunteer package and to learn more about the sponsorship packages available. Dr. Cobi Slater is a Board Certified Doctor of Natural Medicine, Registered Herbal Therapist, Registered Nutritionist and she also holds a PhD in Natural Health Sciences. Dr. Cobi is the founder of Essential Health Natural Wellness Clinic located in Maple Ridge, British Columbia, Canada. Dr. Cobi is extremely passionate about helping others heal naturally as well as empowering patients to live a life of optimal health. Dr. Cobi is a regular guest on many international radio and TV health shows. She also contributes to numerous publications as a health expert and is the author of 3 health books including The Ultimate Candida Guide and Cookbook, The Ultimate Hormone Balancing Guidebook as well as The Ultimate Metabolic Plan. Dr. Cobi has helped thousands of patients regain their health through lifestyle changes resulting in a freedom to enjoy life like never before! Do you need to store and protect valuable documents? Storage for seasonal items? Whatever your business needs, Advance Storage Centres will work with you to determine the best solutions for your company. Mention the Chamber of Commerce to receive a discount! Advanced Storage Centres is located between Dewdney Trunk Rd. and Lougheed Hwy on 203rd St. and is Maple Ridge's very first self storage facility. We have been successfully serving the community of Maple Ridge for the past 30 years by providing professional friendly service, very reasonable prices and offer a great selection of storage needs for both businesses and residents. We also assist with packing supplies as well as protected private mail box rentals. We invite you to come visit us in person; see for yourself what our current and former customers have come to experience! The United States, the United Kingdom, Japan, China and even India have all pounced on the opportunities for professional growth that lie in Nigeria, the fastest growing economy on earth. And I believe that it's about time Canadian businesses joined the fray. As Nigeria's needs primarily revolve around areas like education, energy, infrastructure, technology and agriculture, we understand that the time is now to forge a bond between our two countries for economic prosperity. Find out how to connect to the fastest growing economic regions in the world! The first fifty to register for their annual membership with Canada Africa Network will get theirs free of charge! We at Cornerstone and Pinnacle International would like to formally invite you to our Canada Africa Business Forum. This forum will bring together both business and government delegates from across British Columbia to explore the tremendous untapped economic opportunities that lie in Africa. We want to showcase Africa's newly emerging economic growth to our guests in hopes of starting a discussion on why Africa matters in today's global markets. The event will include a number of panel discussions, networking sessions, and presentations. For more details and to register, please visit http://www.c-pinternational.ca/events or contact Anthony Ezeaputa at info@c-pinternational.ca/ 778-885-6673. Intense? Yes! Scary? Possibly! Awesome? Absolutely. At WildPlay Element Parks. aerial adventures and zip-lines transform a casual nature day into unforgettable outdoor recreation for adults, teens, kids and groups. What’s to Fear Jump - Free-fall into fun! Take an unnerving plunge from the edge of a 40-foot perch. The tricky part is calming your nerves. The thrilling part? You can do it! Atop the high platform you’ll clip into the loose-line for your big step into open air. With a quick plummet you’ll be back on the forest floor, feeling total, heart-thumping, self-confidence. Find out more and book your adventure today! Here at The Sudsy Dog Grooming Salon we are lifelong animal lovers, so we’ve created a grooming salon that our own dogs would be happy to go to, and that we, as dog parents, would be comfortable taking them to. When it comes to our dog grooming services, we are totally flexible. If there’s something specific you would like, chances are we can accommodate you. We currently provide services for all breeds and sizes. All of our bath's include hand drying, thorough brush out as well ear cleaning and nail trimming. Our full grooming package also includes a haircut. We’ve made it our promise as dog groomers to always offer only high quality shampoos along with our hydro-massage bathing system which gives your dog extra pleasure while bathing. Although nail clipping and ear cleaning always comes with our bath's, they are also offered on their own as a stand-alone service. Drop-in nail trimming services are only $5 for all breeds of dogs and do not require appointments (unless your dog may be difficult for nail clipping). We also can dremel or file the nails for an additional $7. Inquire within for a full list of prices and services available for your pouch. As a Sun Life Financial Advisor I assist my clients in giving them peace of mind, by making sure they are financially secure, and prepared for the unexpected. My advice is free, and I'm never too busy to help! My office is located in Burnaby, however, I have lived in Maple Ridge all my life, and would love to make sure that all my neighbours are taken care of. One of the services I provide is group benefits; if you currently have group benefits (with any company) through work, and don't completely understand what you are covered for, please feel free to give me a call and we can review them and make sure you don't have any gaps in your coverage. Sun Life is a Canadian company and has been ranked the most trusted insurance company for 6 years in a row by Readers Digest, so rest assured you will be in good hands! The Ridge Meadows Hospice Society and Thrift Store is a local non-profit Society providing free programs to the communities of Pitt Meadows and Maple Ridge. We depend on the support of local business and residents to operate. Through donations, fundraising events, memorial, in honor gifts, planned giving, grants, we are able to continue to delivering our services and programs. The Ridge Meadows Hospice Society offers sponsorship opportunities to positively promote your business through support. Join us for our Autumn celebration of beer, music comedy and traditional German food. Franzl and his Squeezebox will have you singing, dancing and laughing out loud. Enjoy traditional German food and a selection of local beers that will have your mouth watering for more! Be sure to dress up in your traditional Bavarian wear to make your Oktoberfest experience more fun! I know you love your pet almost as much as you love your children and sometimes even more; or they are your children. It is important to know that while you are working near or far there is someone you can trust to take care of them the same way you would. 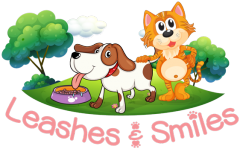 Who is Leashes & Smiles? I am a DogTec® certified professional exercise canine specialist with DogSafe® First Aid. Your dog could come with me as often as you like on a daily hike that will enrich and enhance their physical and mental well being. They can spend time with other dogs and be happy and tired when you come home so you can both relax and enjoy your time together. If you need to travel, pleasure or for business; I also provide in my home, or your home, Bed & Breakfast style (kennel free) pet sitting. Whatever service or need you have for your furry family member I can help you as I understand what it is like to love them so completely. I have two dogs of my own, Loulou and Joey! Please feel free to text, email or facebook me and I will personalize the service that you need. The Well Public House... A place to raise your glass, share your fries and Fill Your Well. What makes a place THE place to be? At The Well Public House in Chance Maple Ridge it's great food paired with good times! It's a place where fun is shaken, stirred and always on tap and the entertainment is live and home grown just like we are. Get acquainted with The Well Public House in Chances Maple Ridge. Whether you’re looking for a quiet night out with friends, a place to hold your next party or private meeting space, The Well Public House is the place to be. Located in Chances Maple Ridge on the corner of 227th Street and Lougheed Highway, The Well Public House features a locally inspired menu and daily features that will be sure to Fill Your Well. Visit us for lunch and dinner or stop by for Happy Hour every day between 3pm & 6pm. Need to fill your Social Calendar Saturday nights? Join us every Saturday for the best in live and local entertainment starting at 9:30pm. Looking for a place to hold your next company party? Our Community Space can accommodate up to 70 people and our culinary team can work with your budget to create the perfect menu for your event. If you need something with a little more privacy, our second floor boardroom is the perfect space for meetings, seminars or workshops. For information about events, bookings or to check out our menu, visit us online at fillyourwell.ca. Alisa’s Wish Child & Youth Advocacy Centre helps all children and youth in Maple Ridge, Pitt Meadows, and Katzie First Nation who have experienced or witnessed physical, emotional or sexual abuse. With 22,000 children and youth who call Ridge Meadows their home, it is estimated that there are 866 abuse incidents in our community annually. These kids live in your neighbourhood and are the kids down the street. Imagine if your child or someone close to you told you they were being hurt by abuse. · Host a fundraiser – we can help! We invite you and your staff for a tour of the Centre. Call Heather Walker at 604.467.6911 ext. 413 or visit www.alisaswish.com for more information. Alisa’s Wish is a community initiative developed by a Multi-Disciplinary Team of Community Partners and managed by our Host Agency: Maple Ridge/Pitt Meadows Community Services. Our new training centre is now open in Maple Ridge just off the Golden Ears Bridge. We're very excited to finally provide you a 'one stop shop' for all your safety training requirements. Extensive course lists, private training, group rates, tailored development and so much more! We would like to invite local businesses to come out and join us as we celebrate our new training centre with a Ribbon cutting ceremony; and take the opportunity to chat with our team to learn more about our OH&S services and safety training courses offered. Light snacks and refreshments will be provided free of charge, call us for more details 604.476.1232 or visit us online at collinssafety.ca. Join Mark's Maple Ridge for our official grand opening August 11th at our new location, which is the biggest Mark's in BC! Help us celebrate our new location with our Ribbon Cutting Ceremony at 10:30 AM. We are locally owned and operated and believe foremost in customer satisfaction, product quality and philanthropic contributions in the community. As the only location in the GVRD that offers in-house embroidery, we encourage you to come by for your company uniform to improve your brand presence and watch your business grow. Support local kids through the Staples-Salvation Army backpack drive! Donate in-store from August 4th through September 8th to help a vulnerable child in your community. Help them get all the supplies they need to start the school year off on the right foot! 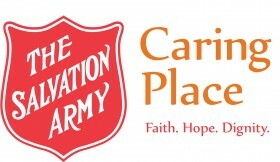 Visit Valley Fair MAll August 17th to 22nd and help fill the Salvation Army van with needed supplies or simply donate online at www.caringplace.ca. Allied Crane Ltd. understands that you need the best, most reliable tower and self-erecting crane rental equipment for your next development project. With broad offerings in our fleet and over 30 years of experience, we will rise beyond your expectations in helping you with your next challenge. Whether it is renting, leasing or repair, our knowledgeable team offers competitive rates in Western Canada. With Allied Crane you can have the confidence that your project will be done safely, correctly, and on budget. The Maple Ridge-Pitt Meadows Country Fest is a 114 year old agriculturally focused and driven festival that was founded in 1901. A few things have changed slightly over the last 114 years, but the commitment to promote and educate the public about the importance of agriculture in our daily lives is just as strong now as it was then. The Maple Ridge Pitt Meadows Agricultural Association has worked hard to develop a National and Provincial award winning, family oriented, and agriculturally educational event that is recognized as 'one of the best' which attracts 18,000+ individuals! This year's Country Fest will take place on July 25th & 26th, and for the 8th year, will feature a FREE gate admission for all families to attend. The future of the Maple Ridge Pitt Meadows Country Fest is extremely promising and exciting. We are committed to the promotion and education of agriculture and to bringing together rural and urban people in an atmosphere of wholesome entertainment and good sportsmanship - for the benefit of all. The Heart and Stroke Foundation is pleased to have been named the beneficiary of proceeds from the Ironman 2015 Golf Tournament at Meadow Gardens Golf Club on August 22nd, 2015. We are working together with the Tournament committee to support their efforts to raise dollars to fund the Foundation’s important work toward eliminating death and disability from heart disease and stroke. Please consider joining us this year as a sponsor of this new, exciting event. Ironman 2015 sponsorship offers recognition to enhance your marketing initiatives through on-site and event-related opportunities. We are confident your participation will offer you additional value beyond the benefits of a contest and/or package sponsorship. For sponsor information, please contact Don Gold at donmgold@aol.com. If you’d just like to play Meadow Gardens under true championship conditions while supporting the Heart and Stroke Foundation, please contact Mike Mullin at mikemullin@meadowgardens.com to register. Hurry as this event sells out! Registration ends July 31, 2015. Westgate Flower Garden proudly invites the community to a Sunflower Garden party to celebrate and give thanks for continuing to stand strong as a florist in this community for the past 15 years. The event will take place at the grounds of the Maple Ridge Museum on Sunday July 26th from 1:00 till 4:30 pm. Along with garden style tea and scones being served, complimentary workshops for children of all ages will take place all afternoon. Joining up with Ribbons and Bows to provide sunflower aprons for kids to personalize. Live music will include 3 harpists, one being the featured harpist at Winter Harp! Join us as we hang out and enjoy all that our sunflower garden party will bring. Just our way to say thank you to everyone who has supported our garden and allowed us to reach 15 years in business! Amsterdam Greenhouses and Garden Centre is a family-owned and operated business that has been serving our community for 36 years! Ron and Lidy Kok began their business as a wholesale growing operation of quality plants which expanded to include a complete, year-round garden centre in 1982. They pride themselves in their exceptional customer service and wide range of high quality, home-grown and local products. The large retail area is a place where green thumbs can find everything from pots and soils to seeds and garden decor to enhance their gardens, decks and indoor spaces! The Kok family and their employees work hard to make sure that their customers are successful at gardening by offering seminars, workshops and events for all ages and all types of gardeners. Everyone is welcome! Workshops include vegetable growing, lawn care, hanging baskets and planters, propagating, pruning and mason bees, to name a few! 'We enjoy inspiring people about gardening,' says daughter, Jennifer Kok. The garden centre also promotes organics and natural gardening as they sell biological controls like ladybugs and nematodes, natural pesticides and traps for fruit flies and moths, and an extensive selection of organic plant care products. In addition to carrying natural plant care products, they grow and carry a wide assortment of organic and non-GMO seeds and vegetable plants. Sometimes all you want is a familiar dish served in a place you can call your own. This is the kinda of place we strive to be. With a name like Home Restaurants, a real dedication to the ideals of true comfort and true quality is required to live up to our inherent promise - an authentic dining experience for every person who walks through our doors. mPoweredwebs is your total web solutions company. We create and maintain your websites or e-commerce sites; help with web branding, web strategy and online marketing to enhance your ability to network with your public. Developing and managing your social media or blog sites; as well build custom video email templates. We are there when you need us and we provide free, no obligation quotes in writing. As you read this, millions of searches have been performed on the Internet, many of them perhaps looking for the very service or product you have to offer. Will any of these searches be able to find your website? We can help insure that they do find you by increasing your SEO optimization. mPoweredwebs is also full service web design company offering a vast selection of services and products to their clients. No project is too large and we have a large array of specialists in various fields to draw upon to ensure the client gets exactly what he wants - good service. mPoweredwebs will also help you develop your web marketing strategies to insure you are using all the promotional opportunities that are available to you. As a locally owned and independent Konica Minolta dealer PrimeImage Technologies takes pride in representing the four time Buyer’s Lab Line of the Year. At PrimeImage we pride ourselves on offering more than one solution to our customers’ needs, helping them through difficult purchasing decisions; providing rental, purchase and lease options with free delivery, installation and training so that our customers get the most from their equipment acquisition. PrimeImage provides in house technical solutions, computer sales, network monitoring and tailored software packages. PrimeImage is your complete office solution. I take great pride in working in the community I live in and I’m excited to work at a locally owned and operated business that has been providing award winning reliable solutions to the Lower Mainland for over 45 years. A local business that gives back to the community, donating a percentage of every sale to Kirmac Cares of Kids and BC Children’s Hospital. Along with our factory trained technicians and long-term knowledgeable administration staff in our Burnaby I’d love to offer the businesses in Maple Ridge our customer service driven experience. Would you like to add another level of fun to your party, event or function? Why not try a photobooth and turn your memorable occasion into a momentous event in a flash! The perfect compliment to any type of event, our sleek, state-of-the-art photobooth delivers professional-grade, ultra-high resolution digital images at the click of a button and provides no end of entertainment for guests. Experienced and reliable, our photobooth team take care of all the details, leaving you to relax and enjoy the fun. Dress up with wigs and props from the Little Black Box Tickle Trunk; choose from 25 different backdrop colours and themes; customized design layouts with captions or a company logo...whatever your preferences, you'll be amazed at what develops when Little Black Box Photobooth is on the scene. 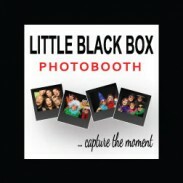 LITTLE BLACK BOX PHOTOBOOTH is proud to offer members 10% discount for any secured booking for any event until December 30, 2015. BOOKING DEADLINE IS JUNE 30 2015!. One of Western Canada's largest home shows, with a 40 year history as a non-profit society; hosting 400 exhibitor booths and drawing 20,000 visitors from throughout the Lower Mainland. Colorful partner events provide wide-ranging exhibit opportunities and include: Times BBQ School, Family Fest and Outdoors Lifestyles. Act now, the show is close to sold out. Home Show Dates:May 1st, 2nd and 3rd. Vicki McLeod is a Maple Ridge based business and personal coach, consultant and communications specialist. She and her husband, author Ian McLeod, own Main Street Communications Ltd.
Vicki is a multipreneur and actively manages the various aspects of Main Street's portfolio, often in the comfort of her pajamas when she is working from home. This creative comfort inspired 'Everyday Happiness: The Pajama Podcasts', Vicki's weekly radio podcast. Vicki blogs as the Mindful Multipreneur providing practical wisdom for maintaining mindfulness in our demanding day-to-day lives. She and the Main Street team also lead personal development workshops and retreats. Vicki is a founding member of the Social Chicks offering social media training to individuals, businesses, and organizations. Vicki is the energy behind Maple Ridge's annual Social Media Day, where she brings together regional social media experts to share their knowledge and build a strong local online community. 'Vicki Chick' also writes a monthly column featured in the Maple Ridge-Pitt Meadows Times; as well she and SavvyChick Karina Cebuliak blog at The Social Chicks. Did someone mention pie? You can often find Vicki and her Kitchenettes volunteering at the Haney Farmers Market where Vicki combines her love of the culinary arts and her love of her community by partnering with the market, Big Feast Bistro, and the Golden Ears Food Education and Strategy Table to bring the Jamie Oliver Foundation's annual Food Revolution Day to Maple Ridge. She and Kitchenette Lorene Stuart shares their love of food, home truths and community at Dishing in the Kitchen. Want to connect with Vicki and Main Street? Please do! Email AdminChick Kathy Irwin or head over to Main Street Communications and click on the link of your favourite social media platform!